Sleep is something that is important to many animals in the animal kingdom. Sleep is also just as important to animals as it is to humans. The reason that animals need sleep is just the same as humans do. Animals need to get enough rest to wake up and feel replenished enough to carry out tasks/activities through the course of the day. Why do dogs sleep so much? *Do dogs actually sleep more than humans or what? *What can cause excessive sleeping in dogs? The answer is this. It is expected that dogs do need the proper rest in order to function properly during the day. They also need sleep to be all that great things that dogs are meant to be. Simple as that. Do Dogs Actually Sleep More Than Humans Or What? Some of the reasons why dogs do sleep so much are something that can vary greatly from dog to do. No two dog species are alike and neither are their requirements for sleep either. Different breeds of dogs can mean different things and these different things can very well affect the manner in which they do sleep and how long they do sleep or don't sleep. 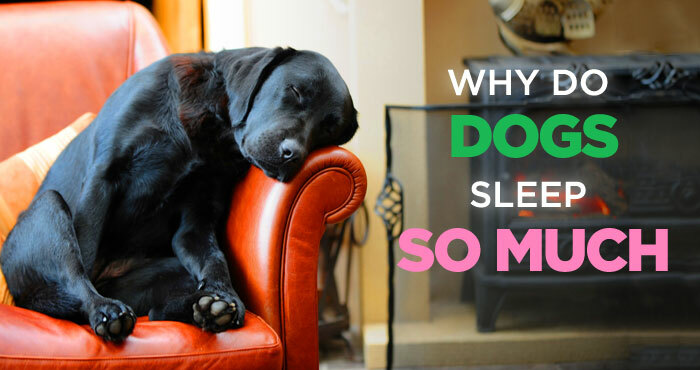 There are a wide variety of reasons as to why dogs do tend to sleep a lot. 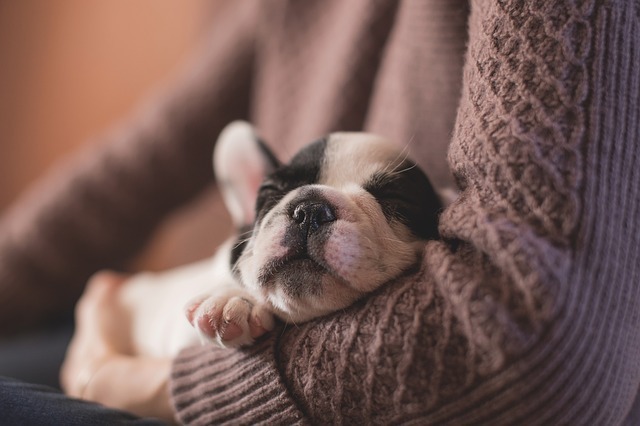 Some of the most common of all reasons why dogs can sleep for longer periods of time can be due to lack of exercise, laziness, and having a poor diet. There are truly all sorts of things that can trigger off a dog sleeping far more than it normally will do. However, for other dogs, it is perfectly fine and healthy for them to do so. Do Dogs Have The Same Sleeping Patterns As That Of Humans? Dogs are said to have the very same sleep patterns as do that of humans. When a dog first goes to sleep, they enter a slow wave or quiet phase of sleep, and will lie still and be aware of the surroundings around him. Sleeping also lowers body temperature, blood pressure, and heart rate just like that of humans. After about ten minutes of sleep, a dog will go into the REM stage of sleep, and in this stage of sleep, the dog will be sort of active without actually being active. He will bark, whine, or even jerk his legs. It is during the rapid eye movement or REM for short stage of sleep that we see that dog is dreaming. The brain activity is pretty much the same as that of humans. Are There Medical Conditions That Can Cause Some Dogs To Sleep Far More Than Others? ​Why do dogs sleep so much? Can health issues cause a dog to sleep more than other dogs? What is the answer here? There are a number of valid medical conditions that can cause dogs to get lethargic and want to sleep a lot more than what is the norm for them. What are some of the medical issues? They are no other than hyperthyroidism, diabetes, parvovirus, distemper, heartworm, heart disease, liver disease, kennel cough, and leptospirosis. Hypothyroidism and diabetes are both diseases that are treatable with medication. Dogs can also become depressed. Dogs react to the death of others including beloved humans and canines. Oversleeping for them can be about depression. The age of the dog can also be a factor for oversleeping. What Can Cause Excessive Sleeping In Dogs? Why do dogs sleep so much? There are many things that can attribute to a dog oversleeping more than they usually do. Some of the many things have already been talked about here. However, excessive sleeping can also be associated with the specific breed of the dog as well, and if that is the case. It is perfect and acceptable for dogs of that breed to oversleep and that is that. There is a multitude of factors that can play a part in just why a dog will sleep more than other dogs. What are some of these factors? The answer is this. Larger dogs are known for sleeping far more than little dogs do. Dogs that are inactive more so than work dogs or other dogs that are always on the go are prone to sleeping more. Why is that? It is because these dogs are bored usually. How Much Sleep Should A Puppy Get? Puppies are born with two speeds. These two speeds are run and sleep. Sleep time for puppies can normally run anywhere between 14 and 20 hours. The reason that puppies do sleep so long is clear and that is because they are growing every day and do need their rest. Puppies also are very active and do need a lot of energy to be on the go as they are when they are awake. Simple as that. Puppies do spend their precious waking time learning all sorts of new and interesting things. However, when they sleep, they do sleep and that is perfectly alright and expected. How Much Sleep Should An Adult Dog Get? Adult dogs do normally sleep between twelve to 14 hours each day. However, as was previously mentioned here, each dog is different and will sleep in its own kind of unique way. The amount of time that each dog does sleep is totally dependent on some factors. Some of these factors do include its age and breed. Don't be alarmed if you dog does oversleep. It may be just that they are supposed to do that. Dogs are different and so are the ways in which they do sleep overall. *How Much Sleep Should A Senior Dog Get? Dogs aren't considered to be senior dogs at least not until they reach 10 or 11 years in dog age. As they do age, they may not be as active as they were before, and they may also have a sort of graying muzzle and their hearing may not be up to par as before. Nonetheless, they can also be prone to sleeping much longer, and this can be due to their advanced age and medical conditions. Senior dogs are known to sleep anywhere between 16 to 18 hours daily. Nevertheless, this isn't etched in stone, as each older dog is different one from the other as well. Why do dogs sleep so much? A lot of answers have been given here as to why they do. However, dogs will be dogs, and each dog is individualistic too. Therefore, oversleeping doesn't always mean a bad thing, and it doesn't mean your dog is sick or what not. It just means that they are in need of more rest than other dogs and that is sometimes normal for them to do. Be Cautious! Select The Best Dental Chews For Dogs!! Why Do Dogs Eat Their Own Poop – What Causes Them To Do This?